You probably know mince pies very well. 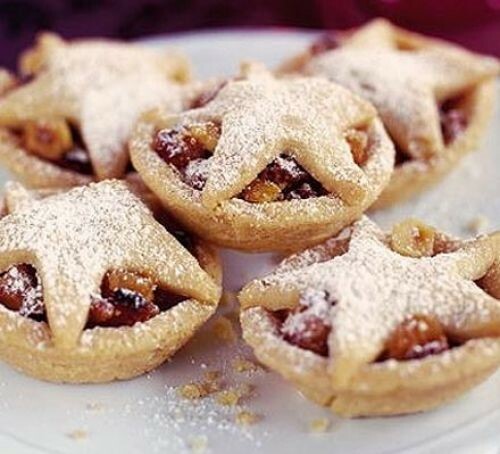 For those coming from a country where Christmas is not celebrated, mince pies are a kind of sweet pies from British origin. Traditionally served during Christmas season in the English-speaking world, they’re filled with a mixture of dried fruits and spices called "mincemeat", not real meat! We also had Stroopwafels brought by our colleague who has Dutch heritage. Stroopwafel is a waffle made from two thin layers of baked dough with a caramel-like syrup filling in the middle. It is very popular during Christmas in the Netherlands. When it comes to Christmas sweets, our colleague with an Italian background can’t help introducing Panettone. It is a kind of sweet bread loaf originally from Milan, usually prepared and enjoyed for Christmas and New Year. Newer PostHappy New Year to Everyone!